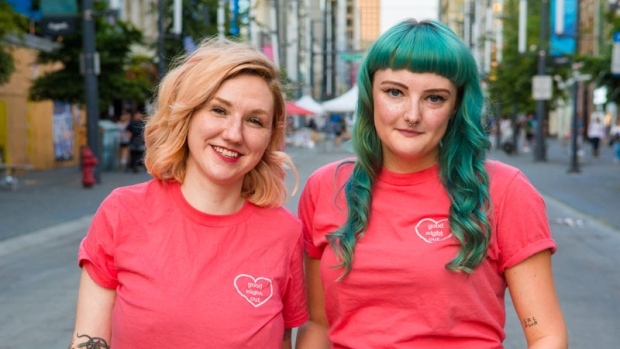 Stacey Forrester, left, and Ashtyn Bevan, right, of Good Night Out Vancouver have launched a mobile tool for witnesses and victims to report street harassment. 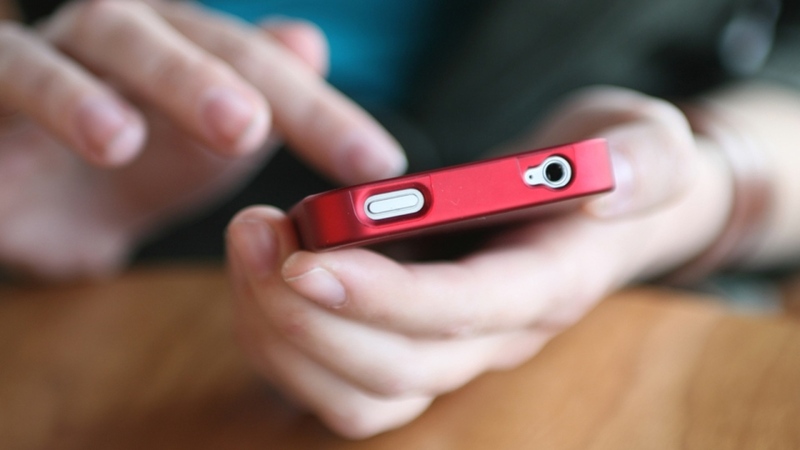 A group of Vancouverites bent on making streets safer has launched a mobile service for victims and witnesses to report harassment by simply sending a text. The "Creep Off" data-gathering bot wants to hear about catcalls and street harassment that make people uncomfortable but aren't quite criminal. 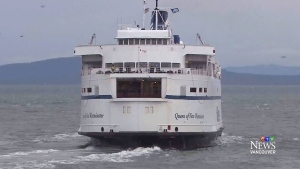 “Women and the queer community, we’re taught that [harassment is], like, a tax you pay for existing and public,” said Stacey Forrester, a coordinator with Good Night Out Vancouver. She wants to be clear that the new pilot project is not a way to get help in an emergency. It’s meant to gather data. She hopes having a baseline database about street harassment in the Lower Mainland could help secure funding for initiatives to prevent it. Even though this reporting tool is subtle, Tracy Porteous, the executive director of Ending Violence BC, said it could help train people to notice harassment and perhaps to speak up. "People think well, [catcalling or heckling] is harmless it's not hurting anybody. Well, actually, it is," she said. "Because it dehumanizes the person that it's happening to and it sends the message to the offender and all of his buddies that it's okay to sexually objectify women." Using the reporting tool is fairly simple. Just add the number (778)-800-3822 as a contact in your phone, and "creep off" to it to report harassment. That activates a bot that will ask users a series of questions about the experience. Forrester said it doesn't need to be in real time, so people can wait until they're in a safe place to report. The bot will ask whether the user experienced harassment or witnessed it, where it happened and the nature of the harassment—be it sexist, transphobic or racist. The service is active from June 15 to August 15, and at the end of summer Forrester and colleagues will crunch the numbers to present their findings in September. It was developed with the help of a grant from UBC, and is one of several initiatives by the anti-harassment organization which also has volunteers walk along Granville Street as nightclubs close to discourage harassing behaviour. Forrester is curious about locations that may be hotbeds for harassment. She's wondering if certain areas of Metro Vancouver or certain music festivals may warrant particular attention. She also wants a future formal mechanism for victims to report sub-criminal harassment. “Because are you going to police every time you get heckled? Probably not,” she said. Last year, the federal Standing Committee on the Status of Women recommended the government fund initiatives and research to address street harassment and its effect on women. Marilyn Gladu, who was the chair of the committee at the time, told CTV News she thinks Good Night Out’s reporting tool is a great idea. “It’s like a pyramid. 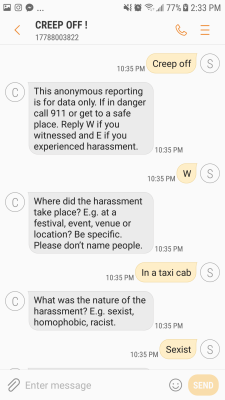 [Most people] are experiencing the catcalling or harassment. Then the next level you’re talking about people who are getting touched or more aggressively pursued,” she said. Porteous agreed the reporting tool is a step in the right direction. But another key piece to preventing it, she says, is bystander intervention. "Most people won't say anything. Most people won't know what to do," she said. "But imagine the difference … if bystanders and witnesses to this kind of abuse started doing something instead of nothing." A mobile phone is seen in this file photo. 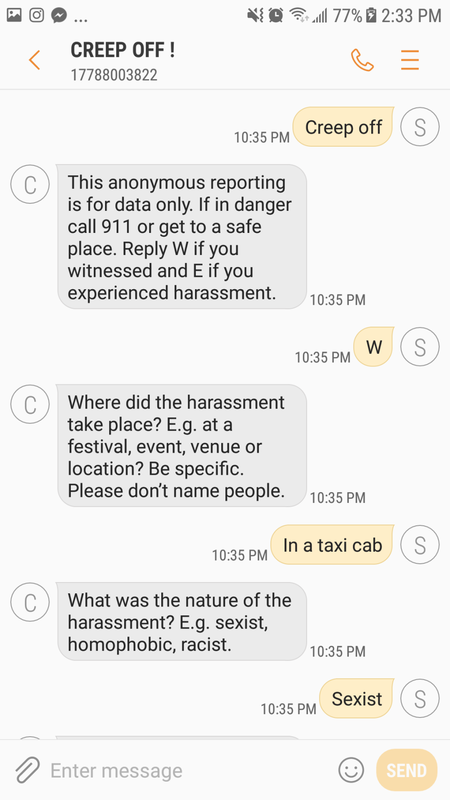 This screenshot shows how the Creep Off bot gathers data on incidents of harassment.